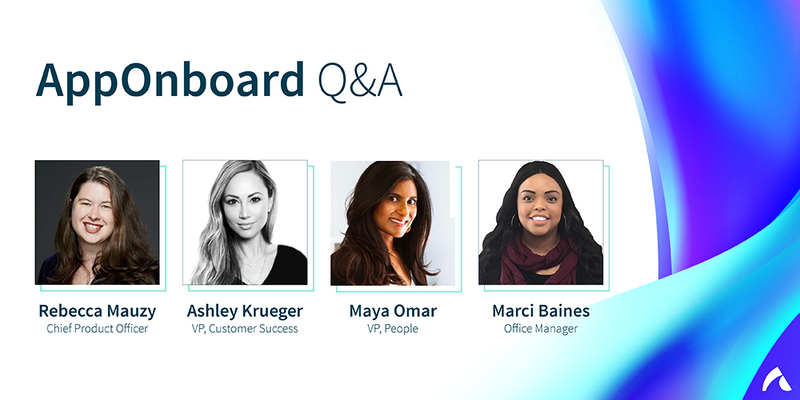 In honor of Women’s History Month, we are excited to share our first of many Q&A sessions with AppOnboard team members. In this month’s edition, we are interviewing 4 women leaders in our company and discuss the importance of diversity in the workplace and their advice for women in tech. Without further ado! 1. What is your role at AppOnboard/what are you and your team responsible for? Rebecca Mauzy: I am the Chief Product Officer at AppOnboard. My team focuses on Product Design, Documentation and Product Management, and is responsible for the overall direction of the products and product lines at the company. We set product vision and strategy, determine product roadmaps, write requirements, documentation and design UI/UX, and work with Engineering teams to create implementation timelines & release plans. Ashley Krueger: I lead the Customer Success organization at AppOnboard. 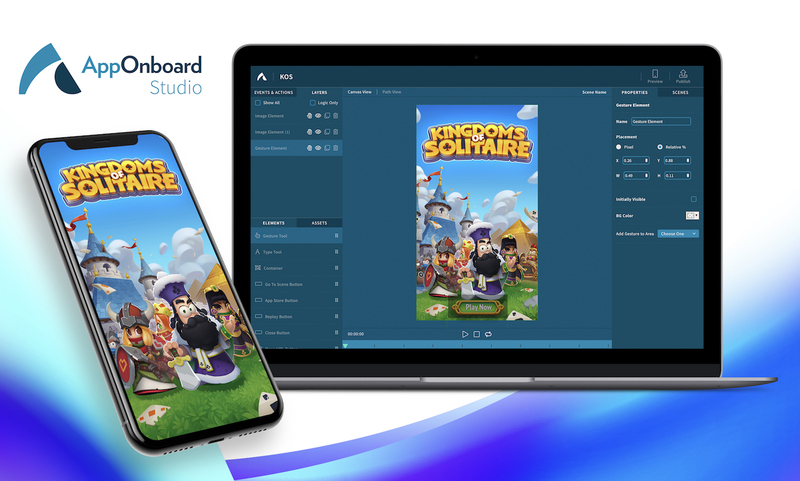 My team works with the largest app developers in the world to build, publish and power app demos and instant apps on the Google Play Store and other top social networks and messaging platforms. Customer Success at AppOnboard means our customers find value and ROI in our technology and platforms through ongoing consultative support and custom solutions. Maya Omar: I’m the Vice President, People. My team focuses on recruiting, retaining, and growing outstanding talent. We partner closely with our leadership team to ensure that our hiring, engagement, and development strategies align with our company goals. Our mission is to create not only best-in-class candidate and employee experiences, but also to build a culture where employees are respected, valued, and inspired to do game-changing work. Marci Baines: I am Office Manager at AppOnboard and have been with the company shy of 2 years. During that time I have seen AppOnboard grow from 15 employees to nearly 90 and 3 different office moves. I help lead and organize our office operations and procedures and look to help keep our offices running smoothly and effectively! 2. How does AppOnboard promote and enable a diverse workplace? AK: Diversity is part of what makes AppOnboard a unique and special place to work. The teams within our company are a collection of people with diverse skill sets and backgrounds. We have artists, creatives, engineers and commercial teams all working in harmony to build the best app demos and product for our customers. This intrinsically makes diversity part of the fabric of our culture and leads to innovation through a range of perspectives and ideas. MO: We take a very intentional approach towards cultivating diversity and it’s embedded in all aspects of our candidate and employee experience. We prioritize recruiting from a wide variety of sources and cultivate applicant pools that are as diverse as they are talented. We ensure that employees of all backgrounds have opportunities to advance and succeed here and we proactively guard against unconscious bias in our decision making. I’m proud of the culture we’ve built, which values an inclusive, caring culture; genuine respect for one another; and a commitment to diverse perspectives and leadership. 3. How do you think diversity benefits company culture? MB: I believe diversity within a company can be highly beneficial for each employee’s personal growth and perspective. For me personally, working with different cultures at AppOnboard has been a benefit that I’m extremely grateful for. I’ve learned to step out of my comfort zone, explore new things, and learn different standpoints on a wide range of topics that I genuinely enjoy. RM: One of the important benefits of a diverse workforce is the increase in creativity among teams, especially at a tech company where we need to solve complex problems quickly and often, creatively. Homogenous groups can sometimes find themselves stuck in groupthink, mired in creative stagnation. Diverse groups produce diverse ideas! MO: Real creativity and innovation requires organizational trust. Employees need to trust that diversity is an intrinsic and valued part of their company’s culture. When that happens, they can bring their most authentic selves to work, without fear of being misunderstood or excluded. When people know that every facet of themselves is respected and celebrated, they have the freedom to do their best and most innovative work. 4. What advice do you wish you’d been given about being a woman in tech? RM: Say ‘yes’ to everything. If you are asked to take on a task, a project or even asked to start to manage people, just say ‘yes’ and then figure it out. You have a much higher capacity than you’re giving yourself credit for, and it’ll open doors faster than you ever could have imagined. AK: Embrace change as an opportunity to learn and expand. In the fast-paced world of tech, we quickly learn change is the one constant. Looking back, there are changes in my career that were not always welcomed, but I am grateful for every experience because it propelled me into a space of expansion and growth. Over the years, I have learned to lean into the discomfort of change and ask myself, “What am I learning from this?” This perspective almost always reveals unexpected opportunities, and I am able to see the beauty in the path ahead. MO: There’s a Steve Jobs quote that I love, “You can’t connect the dots looking forward; you can only connect them looking backwards.” Your career path in tech won’t be a straight line, no matter how meticulously you plan. Ultimately, you have to trust your intuition. When I look back at my career so far, I can see how each opportunity, even the ones I was unsure about or didn’t anticipate, provided its own valuable experience and led me to the next one. I’m glad for every risk that I took, for every lesson learned, because it’s brought me to where I am today. 5. What woman in tech (either in history or working today) do you really admire and why? RM: I’m a huge fan of Hedy Lamarr. The technology she invented around the time of WW2 helped to form the technical backbone of how Bluetooth works, and was even incorporated into our legacy CDMA cellular communications systems. She was a genius, an innovator and a technical wizard who helped change the trajectory of the communications world and still heavily influences our communications environment today, yet she was virtually unrecognized in her time. AK: A few years ago, I was nominated to attend the MAKERS conference. It was like winning the lottery for me, and I was beyond excited for the opportunity to hear from so many women I admire. It was there where I first heard from Ayah Bdeir, the CEO and Founder of littleBits. I was not familiar with her story or company at the time but was immediately drawn to her mission to empower kids to be change-makers through invention and creativity. I love how she is disrupting gender stereotypes in toys, and empowering girls to use tools and learn about STEM education. MO: I’m a fan of Reshma Saujani, founder of Girls Who Code. She recognized the striking gender gap in STEM and created an organization that’s building an incredible pipeline of future female engineers from a variety of backgrounds and experiences. Her work has given thousands of young women meaningful opportunities to explore careers in tech – imagine what these women will build, create, and design someday? We hope you enjoyed our first of many Q&A sessions (written, video, and live) that will be released in the coming months. If you are looking for a new opportunity at a startup, check out our open roles!